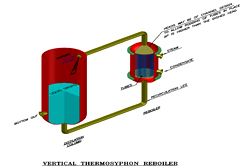 Thermosyphon reboilers require pumping of the column bottoms liquid into the reboiler. 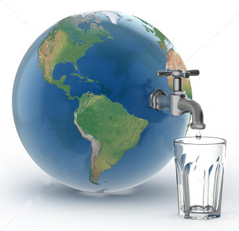 Natural circulation is obtained by using the density difference between the reboiler inlet column bottoms liquid and the reboiler outlet liquid-vapor mixture to provide sufficient liquid head to deliver the tower bottoms into the reboiler. 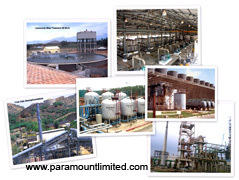 Thermosyphon reboilers are more complex than kettle reboilers and require more attention from the plant operators. 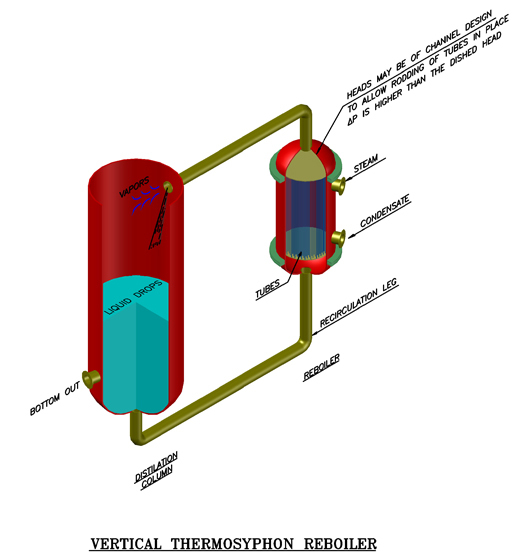 There are many types of thermosyphon reboilers including vertical, horizontal, once-through or recirculating.